Pressure vessels | HANAKOV, spol. s r.o. 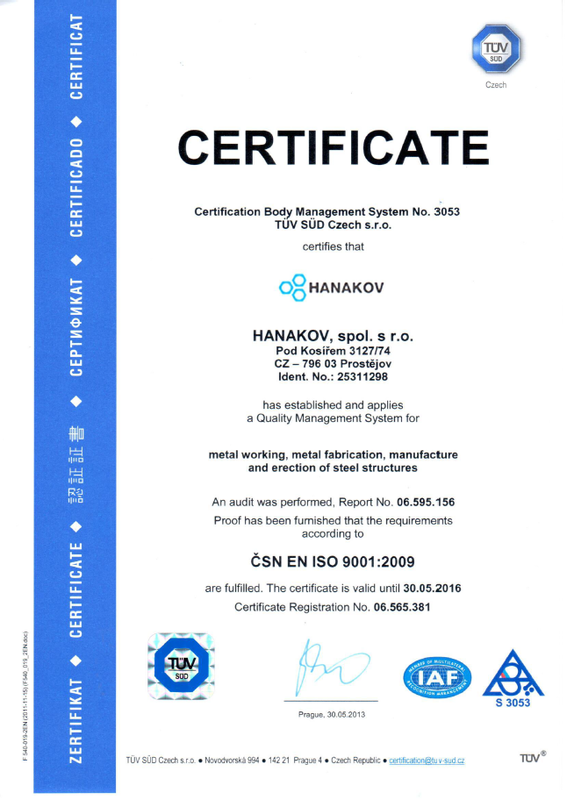 Pressure vessels – HANAKOV, spol. s r.o. We manufacture welded steel pressure vessels, tanks and atypical pressure vessels, vertical or horizontal, with one or more pressure chambers. The pressure vessels we manufacture are provided with certification which may differ according to the market to which the pressure vessel is exported. Within the EU states, we manufacture and commission pressure vessels in conformity with PED. Thanks to the advanced technology, many years of experience and sufficient production areas, we are able to deliver made-to-measure pressure vessels according to the customer’s documentation, including transport to the place of destination. In conformity with the project documentation presented, we always prepare an individual price calculation for the customer. float or tube level indicators. Why pressure vessels from the HANAKOV company? Within the EU states, we manufacture and commission pressure vessels in conformity with PED. Our welders have extended authorization for welding pressure vessels. We manufacture pressure vessels for various types of working media and for the required pressures and temperatures. We provide the products with technical accompanying documentation (passport, EC certificate, inspection report,…). Quality control is performed during production; the final evaluation is carried out by a notified person of TÜV SÜD (we provide for non-destructive tests and pressure tests) . assessment of conformity of every equipment before its introduction in the market is done by the EC verification.